No matter if it’s building a deck or creating city infrastructure, everybody has the same question – what’s the price going to be? But sometimes it pays to look beyond the initial cost. With the deck example, buying pressure treated wood might be cheaper than going with a manufactured material. However, are you taking deck maintenance into account? The time and money spent sanding, restaining, or replacing boards every few years can really add up. With a manufactured product, hosing it off once in a while usually does the trick. The same thought process should be applied to larger concrete jobs. 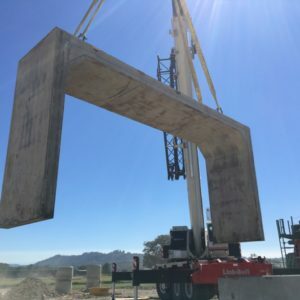 There’s a final price tag with both precast and poured in place concrete, but what about those other costs? Much of the cost that goes into building precast vaults, basins, or manholes happens before the excavation even begins. Labor, power, and water costs all come into play here, as does delivery of the finished project. With pour in place, delivery costs may not be as high because everything is constructed on site. Being able to produce on site has advantages, though. At Columbia Precast Products, our facility allows us to control the environment inside no matter what’s happening outside. We can complete a job on time and on budget, no matter what weather the Pacific Northwest has to offer. These costs also remain constant throughout the year, where pour in place bids may fluctuate depending on the season. One consistent with either product is the excavation process. After all, the size of the hole isn’t going to change. Where precast proves it’s worth is the associated costs that come with any delays in installing the concrete products. Whenever excavation is involved, other factors need to be taken into account. How long will the open space affect other parts of construction? Can other parts of the project be worked on while installing the concrete? With precast concrete products, there is no drying or curing to wait for, and strength testing has already happened. If the weather cooperates, it could take up to a week to complete the job with a pour in place process. Unexpected downpours, or even thaws, could change the timeline considerably. Maybe the forms can’t be set on time or the pour is delayed by the weather. Now the site needs to be monitored an extra day for safety and insurance reasons, costing more money. How does the delay affect other parts of the project? A day or two may not make much of a difference, but will a week? That’s another unexpected cost. Those extra costs usually aren’t included in that initial estimate, but they’ll be there when it comes to final invoicing. 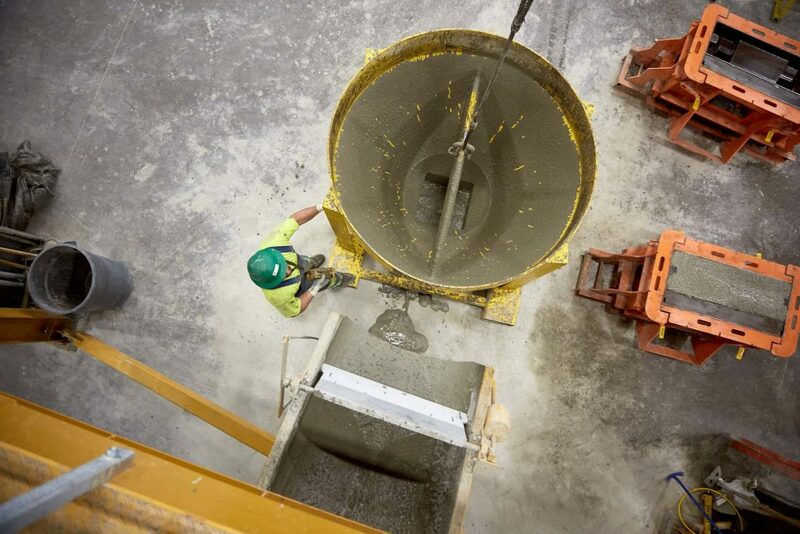 With Columbia Precast Products, so much of the unknown is removed from the equation. By manufacturing in-house, we have no unexpected delays, we deliver a final product on time, and get out of your way. Contact Columbia Precast Products today for a free estimate or if you have any questions on what we can do for you. We have a commitment to sustainability, understand construction in the Pacific Northwest, and create a quality product every time. Next PostWhat are the Benefits of Precast Concrete?